Cape Blomidon lies along the southeast shore of the Bay of Fundy at the mouth of Minas Basin, the site of some of the world's highest tides. Cape Kildare extends eastward into the Gulf of St Lawrence at the northern end of Prince Edward Island. Named by Samuel Holland in 1765 after James, 20th earl of Kildare, it is part of a series of capes in the area known as the Kildare Capes. 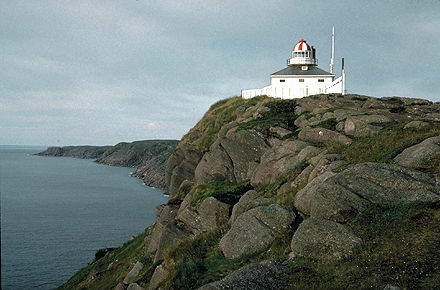 Cape North is the northern promontory on Cape Breton Island. Cape Sable is the southernmost point of land on CAPE SABLE ISLAND, which lies off the southwestern tip of Nova Scotia. It is composed of shifting sand dunes (French, sable) up to 9 m high and is nearly joined to the island by a sandy beach transversed by Hawk Channel. Cape St Mary forms the southern boundary of St Mary's Bay in an area of Nova Scotia's northwestern coast known as the French Shore. Fishing is the principal activity in this region; the cape was once the site of the International Tuna Cup matches. Cape Traverse is a small peninsula along the southwestern shore of PEI on Northumberland Strait. Crown Point is a large peninsula strategically commanding the narrow passage of the southwestern portion of Lake CHAMPLAIN in upper New York State. It was initially the site of Fort Saint-Frédéric, built by the French in 1731 to defend French territory from English colonial invasion. 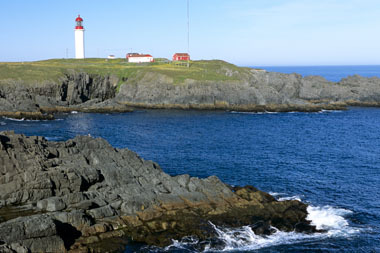 North Cape, also called North Port, is the northern extremity of Prince Edward Island, dividing Northumberland Strait from the Gulf of St Lawrence proper.